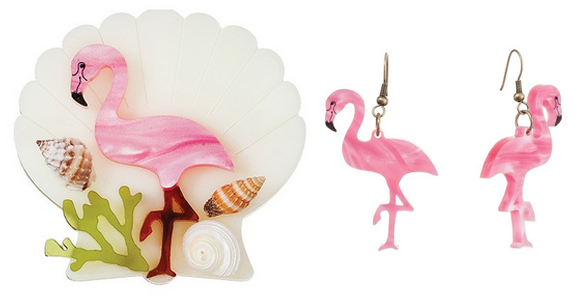 Tatty Devine's Flamingo collection: I'm in love! I've long had a soft spot for flamingos so this collection, consisting of a brooch, earrings and a necklace (not pictured but the same as the brooch in principle) is right up my street. If I could select one piece to own it would have to be that shell-scattered brooch! Do you like flamingos too? If so, what would you pick?